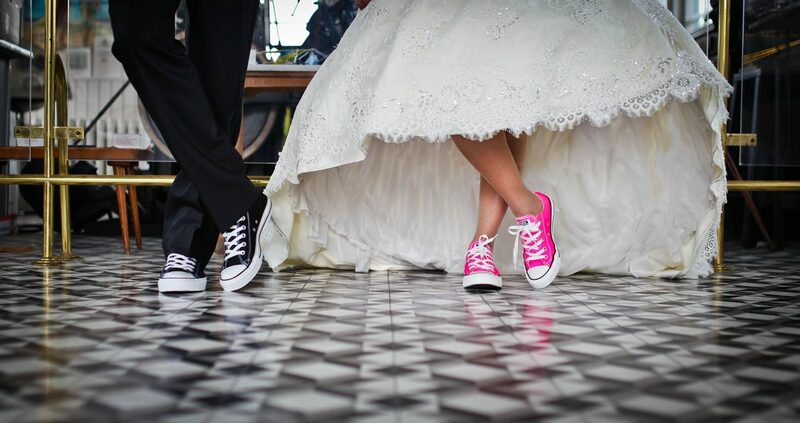 Every girl dreams about her wedding day…I’d better stop here because I have never dreamt about my wedding. 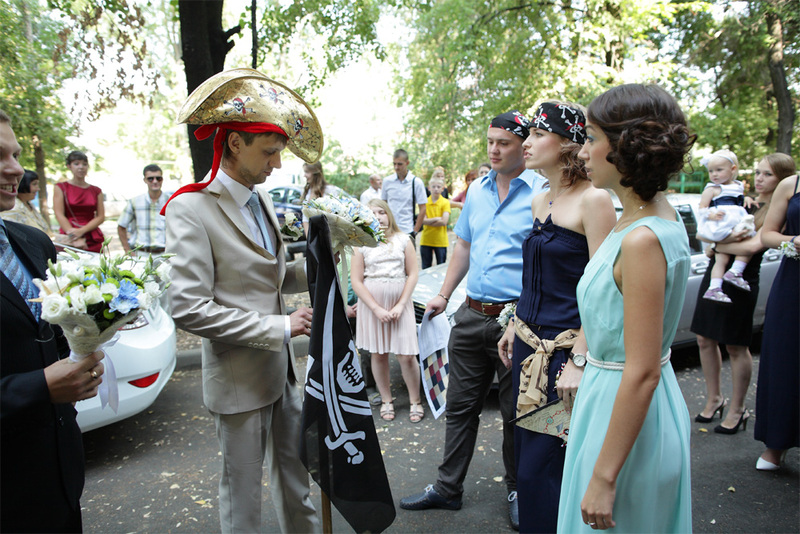 However, most Belarusians get married, and this is how it happens. The first wedding bells ring when a friend of yours (maybe a former classmate, cousin, or one of your parents’ friends’ kids) meets a special person who wants to share a common future together. Your friend invites you to their wedding party, and you immediately have a million questions. What to wear? What to give as a wedding present? What words of wisdom to say if you have no experience of family life? You go to the party, wipe tears of happiness from your eyes, throw some rice over the smiling couple, and enjoy every bit of the day. As years go by, more and more people do the same. Your university friends, your younger cousins, cousins of your boyfriend or girlfriend, colleagues… You need to attend every wedding, as it’s a national tradition, and not going when invited is rude. 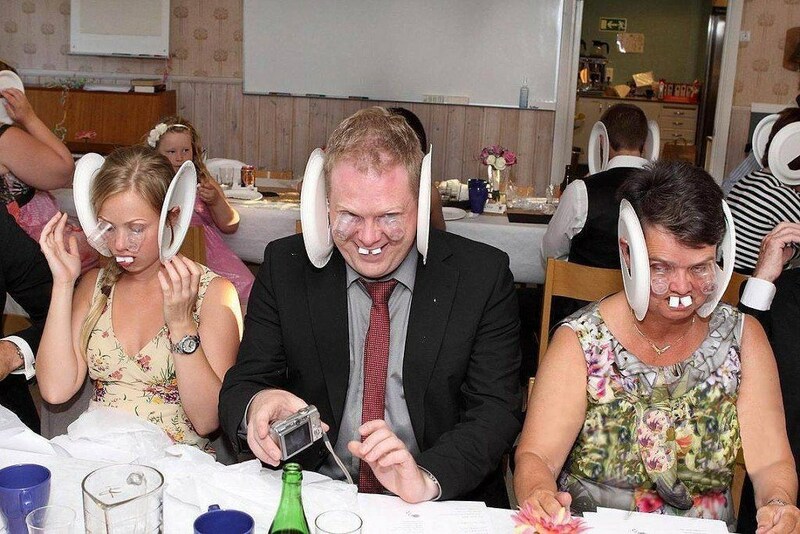 After experiencing a number of weddings, you know every scenario and the novelty begins to wear off. As weddings are a tradition, all follow the same basic routine. In the morning, you’re invited to the bride’s house (if you’re invited from her side) or to the groom’s (if you know him better). It doesn’t really matter where you start drinking champagne. Soon after the festivities begin, the groom’s party soon joins the bride’s party at her home and the ‘Bride’s Redemption’ begins. While going upstairs towards a bride’s apartment, a groom may be asked to recite lovely words about his bride on every step. On the first step he may say ‘charming’, the next , ’adorable’, and so on. Multiple variations of this trial may occur. The groom may also be obliged to answer a number of questions about their relationship and his bride to be. What colour are her eyes? Does she prefer pizza or burgers? Does she love or hate skiing? Every question is meant to show he knows enough about her, and will be able to make her dreams come true. The groom needs to spell the bride’s name in money. The groom needs to guess the correct finger to place the wedding ring (the bride together with her bridesmaids hide behind a curtain and show only one hand. The groom must then guess then correct hand). So, after these funny and unpredictable exchanges, the bride and groom finally unite and say some thank you words to everyone in the room. The next step – they go to the registry office to make their marriage official. And most often, the whole crowd is invited. There, the couple make the most important decision of their lives under the watchful eyes of hundreds of their friends and family, and their lifetime together begins. The day flies by and dinner time quickly approaches, everyone is a bit exhausted, so the best thing to do is to move to the restaurant and continue having fun along with beverages and hot snacks. 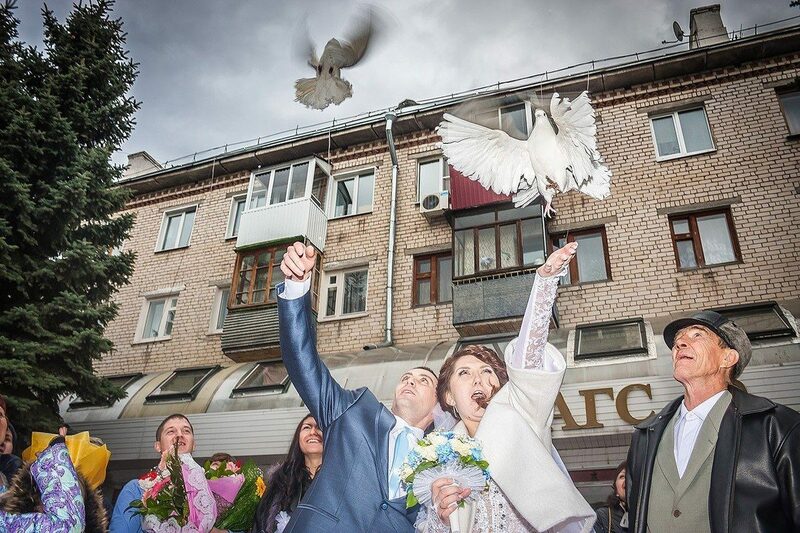 Another tradition at a Belarusian wedding is the TAMADA (pronounced “tah-mah-dah”)! A Tamada is a loud, lively, and overly cheerful toast-master whose aim is to entertain and amuse guests. The Tamada has two major functions: first, he (or she) introduces guests to the entire group and gets the wedding party excited leading toasts to the newlyweds, and Secondly, he arranges wedding contests and games. Guests are put into pairs (man and woman), a woman needs to tie a man’s tie around his waist, and the quickest pair wins. Musical Chairs! This is were guests are invited to run around a number of chairs while music plays (one chair less than actual participants), and when the music stops, they need to take a seat. The guest who cannot find a seat drops out; another chair is removed until eventually there is a winner. If you find all of the above strange and inappropriate, just be sure to excuse yourself for an outside drink just before the next contest is announced (this escape needs some practice). The listed contests may vary from wedding to wedding, but the mandatory contest is always the same. Two pairs of children tights (one blue, one pink) are passed around from guest to guest. If you wish the newlyweds to have a baby boy first – place some money inside blue tights. If you wish for them to have a baby girl – put some money inside pink tights. When every guest has completed this task, the money is counted. The pair of tights with the most money wins! The evening comes to an end at the stroke of midnight or slightly after. Guests leave and the newlyweds are finally alone to celebrate their wedding night (which is often spent counting money received as wedding gifts). A wedding is considered successful, if wedding expenses are covered by gift money. And then morning comes, the first morning as a married couple which brings with it new feelings and new obstacles. No one thinks about it beforehand, but statistics show that 5 out of 10 marriages in Belarus end up in divorce. Maybe, for this reason it’s important to remember all the wise words and wishes heard at your wedding, in order to make the right decisions, to forgive and to be forgiven during the good times and the bad. P.S. Hopefully more and more couples choose European style for their wedding. A few dozen guests instead of a hundred unknown people, jazz band instead of Tamada, Converse shoes instead of high heels. We just need to feel comfortable and happy on the best day of our lives.